On June 15, 2007, Texas Gov. Rick Perry signed into law House Bill 3011 authored by Representative Wayne Smith and sponsored by Senator Mike Jackson that allows the creation of a management district to govern security initiatives within the Houston Ship Channel Region. 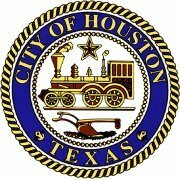 On June 09, 2009, Harris County Commissioners Court took the final step authorizing creation of the Houston Ship Channel Security District. A majority of facilities which are included in the security district petitioned Commissioners Court to create the district. Industry’s actions, along with the unanimous court vote, further improve security for employees, residents and facilities surrounding the Houston Ship Channel. Since September 11, 2001, port security initiatives evolved to regional, multi-layered strategic models that protect extensive waterside and landside supply-chain interests. Local government and business leaders, in concert with information technology and security professionals, formed a Houston Ship Channel Security Council (HSCSC) that understood a dedicated Houston Ship Channel Security District (HSCSD), as a unique public-private partnership, could deliver improved security for the region’s waterside and landside facilities, as well as for associated supply chain and support industry surrounding the Houston Ship Channel community. The District provides oversight of comprehensive and cost-effective security solutions, leveraging more than $30 million in federal Port Security Grants to install technology and security infrastructure with operations, maintenance and matching dollars to fund specific security projects, maintenance and operational services. The enhanced multi-layered approach increases preparedness and response capability to mitigate and eliminate potential security threats within District boundaries, protecting both landside and waterside facilities. The improved infrastructure includes wireless and fiber optic-wired communications systems, software that analyzes video images, high-tech night vision and motion-activated detection equipment. It also includes land and water detection components, such as radar, sonar and security sensors. District services include enhanced security capability, such as marked patrol boats, patrol cars and all-terrain vehicles. Information sharing, alerts and notifications are improved through a consolidated multi-agency operational and strategic command and control emergency response structure. Improving domain and situation awareness through enhanced infrastructure and services delivers more rapid response times. Specially trained Harris County Sheriff’s Office personnel use the improved infrastructure and associated equipment, such as marked patrol cars, patrol boats, and enhanced radio communication system to improved response times from security professionals dedicated to the district. The improved technology, equipment and processes deliver more rapid response times and deter security threats and improve access and communication between emergency agencies and plant personnel.. Although intended to deter terrorism, the improvements also deter theft and aid other security and safety issues. The processes and technology as well as the additional personnel and equipment can be applied during events, such as hurricanes, evacuations, or plant upsets. HSCSD plans will mitigate disruption of business and help district members recover and restore normal operations more quickly. The Security District is managed by an 11-member board of directors, eight elected from manufacturing/maritime industry membership and three appointed members. The purpose of the District is to enable a greater degree of security and safety for facilities, employees and communities located within its boundaries by supporting projects and initiatives to enhance the capabilities, communications, and joint operational readiness of existing first responder, law enforcement, and regional organizations.